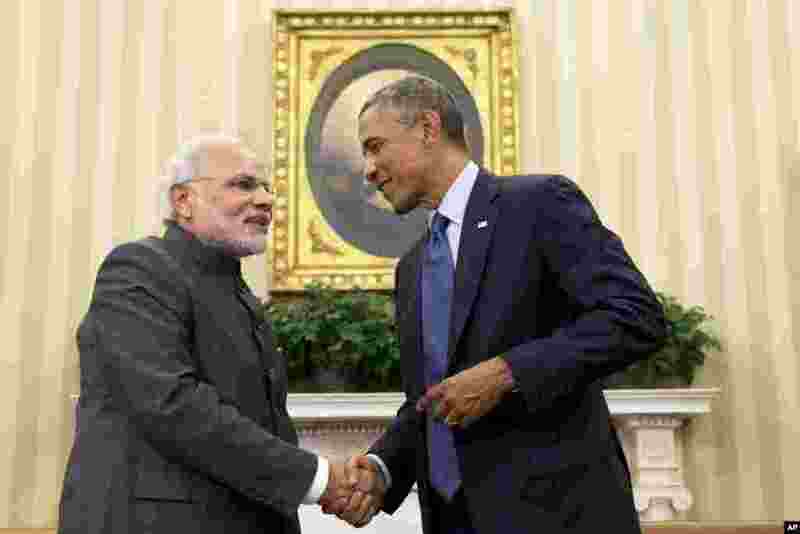 1 President Barack Obama shakes hands with Indian Prime Minister Narendra Modi in the Oval Office of the White House, in Washington, Sept. 30, 2014. 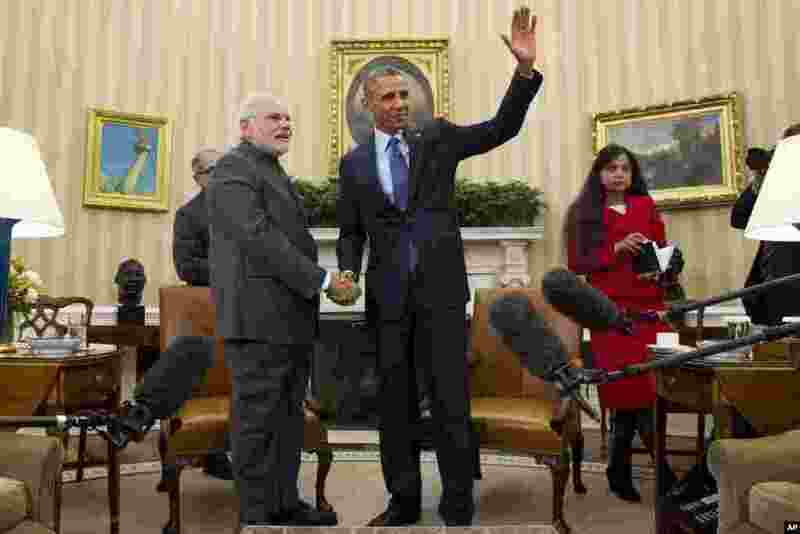 2 President Barack Obama waves as he meets with Indian Prime Minister Narendra Modi in the Oval Office of the White House in Washington, Sept. 30, 2014. 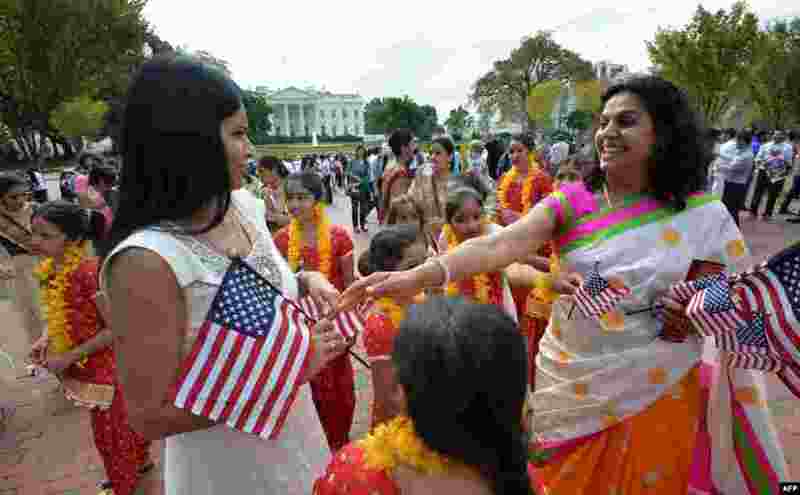 3 Indian people living in the U.S. gather in support outside the White House, where Indian Prime Minister Narendra Modi met with U.S. President Barack Obama in Washington, D.C., Sept. 30, 2014. 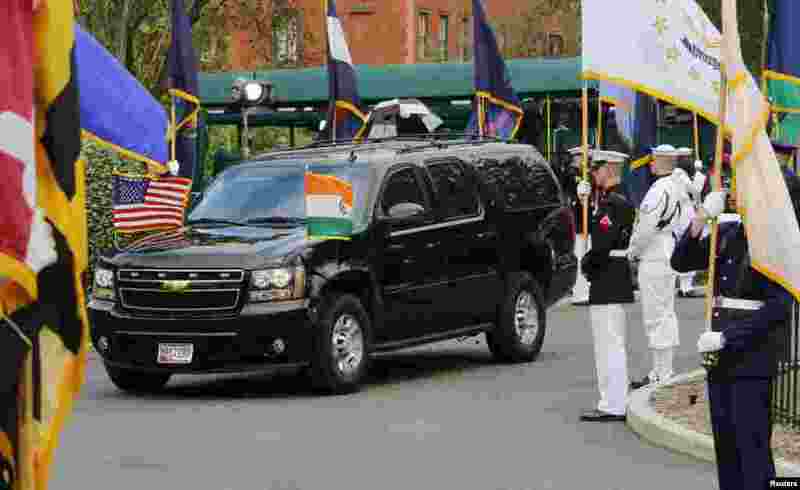 4 The vehicle carrying India's Prime Minister Narendra Modi arrives ahead of his meeting with U.S. President Barack Obama in the Oval Office of the White House in Washington, Sept. 30, 2014.